If you have a household that likes to stock up on items and make fewer trips to the store, bread may be one of your biggest complaints. 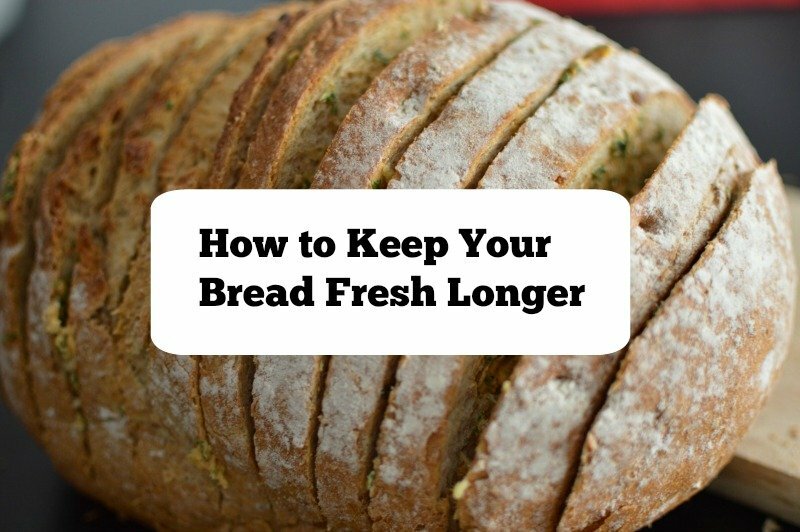 Store-bought bread tends to go stale quickly. This can lead to hard sides, crumbly slices or even soggy crusts. Those handy plastic bread bags don’t do a whole lot to keep your bread fresh once you take it home. When you come home from the store the best way to keep your bread fresh is to store it properly. Bread that will be used right away should be kept in a bread box, which is dark and cool. Bread that will be used within a week can be kept in the refrigerator. But what if you found a great deal on bread and really stocked up? Did you know that you can freeze bread? Place it in the freezer and keep it for a few months. The challenge with frozen bread is thawing it out without being able to tell that it is essentially old bread. When you remove bread from the freezer, wrap it in a towel and place it on the counter for a few hours. This helps keep moisture in but doesn’t lead to the bread becoming soggy. Once it is thawed you can put it in the bread box and use it within a day or two.